Azalea flowers beside the house are now blooming very proud. 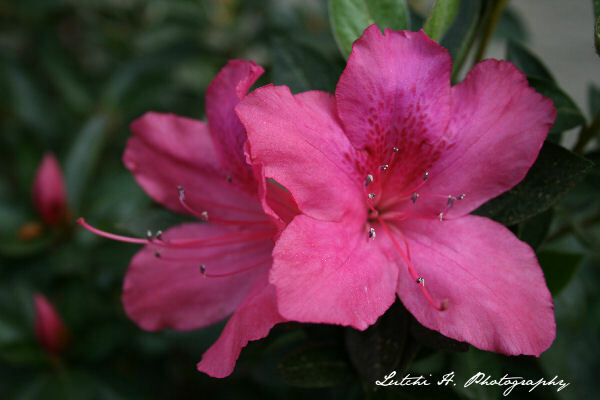 Azaleas are flowering shrubs making up part of the genus Rhododendron. Originally azaleas were classed as a different genus of plant, but now they are recognised as two of the eight sub-genera of rhododendrons - subgenus Pentanthera (deciduous), and subgenus Titsushi (evergreen).